Yahoo's move to infinitely large mailboxes will force others to follow suit. 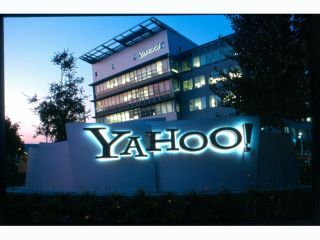 In a bold move designed to combat the threat to its email hegemony from Google and others, Yahoo has announced plans to offer users unlimited email storage space from May, according to Reuters . The increase - from the current 1GB of storage offered to Yahoo Mail users - has been motivated by dual factors. The first, and most pressing, is the amount of space available to users of rival free email services. Google's Gmail currently allows up to 2.8GB of storage, while Microsoft's Hotmail caps free accounts at the same 1GB as Yahoo. The second factor explains why all of these limits are far from set in stone. The booming popularity of online music, photo and video sharing, coupled with ever-increasing file sizes as music-lovers opt for lower compression ratios, digital cameras arrive with more megapixels and high-definition video hits the home market, practically forces providers to expand data capacity for users. The impact of the change on Yahoo's fee-paying Mail Plus service has yet to be clarified. The service currently supplies 2GB mailboxes, so this ceiling is likely to be raised while the other value-added services, including advertising-free screens and POP access, may be augmented. Users in Japan and China will, however, miss out on the improved service, as Yahoo Mail in those countries is run in partnership with other companies. While the move to unlimited storage makes Yahoo's initial 1997 mail cap of 2MB per user seem like a relic from the distant past, it can't be long before the user-friendly Google team comes up with something to top even that.